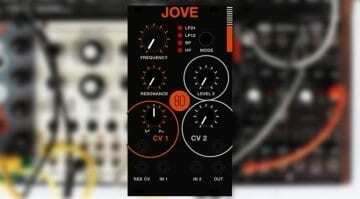 AI Synthesis make cool little kits of simple and useful Eurorack modules. This is only Abraham Ingle’s 4th module, the clue being in the AI004 name, and yet it seems like a massive leap from what has come before. He calls it a loving tribute to the Korg MS-20 filter and you can build it yourself for only $85. 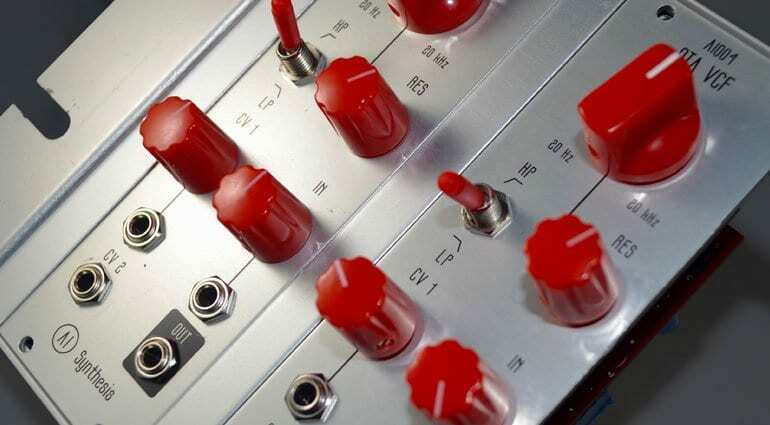 It’s designed to use the same filter structure as the Korg MS-20 filter. 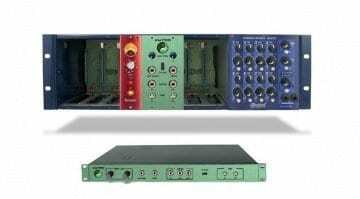 It has a 12dB/octave low and a 6dB/octave high-pass mode and an updated diode gain stage in the resonance section. 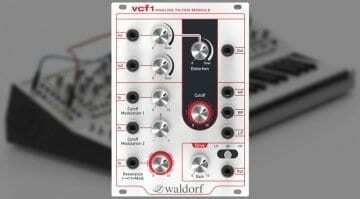 It will overdrive and distort in both modes if you push it and the resonance can pull off some self-oscillation. The CV input is an attenuverter, allowing for dynamic control-voltage of the cutoff. AI Synthesis is all about the educational possibilities of building modules. While you can purchase the module built they do tend to encourage you to go for the kit. They provide a full build guide in both paper and video formats. And Abraham also points out elements such as the drop in signal when applying more resonance. This is common in OTA and other filters where resonance is achieved via a negative feedback loop. There are ways of getting around it but they would impact on the authenticity of the circuit design. So Abrahams advice is to use a VCA and don’t worry about it – it’s normal. There’s a hidden mode accessible via a switch on the back which he calls “wild” and sometimes “crazy” mode. So why is the switch on the back? I’m not sure. In the video (below) he talks about you can mount it on the front if you wish by drilling a hole in the front plate. I can’t quite work out why anyone would not want it on the front. Or why you’d want to take a drill to you nice new front plate. Maybe it was a mistake and they have a 100 front panels without the hole to get through, or maybe they are using it as an opportunity to encourage people to modify the front plate themselves. Maybe it would be worth asking if they’d mind drilling the hole for you if, like me, I don’t have those sorts of tools knocking about. Otherwise, I really like the AI Synthesis kits. The AI003 Looping ADSR envelope is particularly cool. This quantum leap into filters is unexpected but it sounds great and is such amazing value at $85 for the full kit that for a little soldering project it’s a no-brainer. AI Synthesis AI004 OTA filter webpage. Someone needs to do a demo with some better quality audio and video but it gives you a good idea of what it can do. 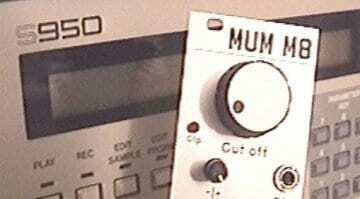 ALM about to release an Akai S950 filter clone module called MUM M8?